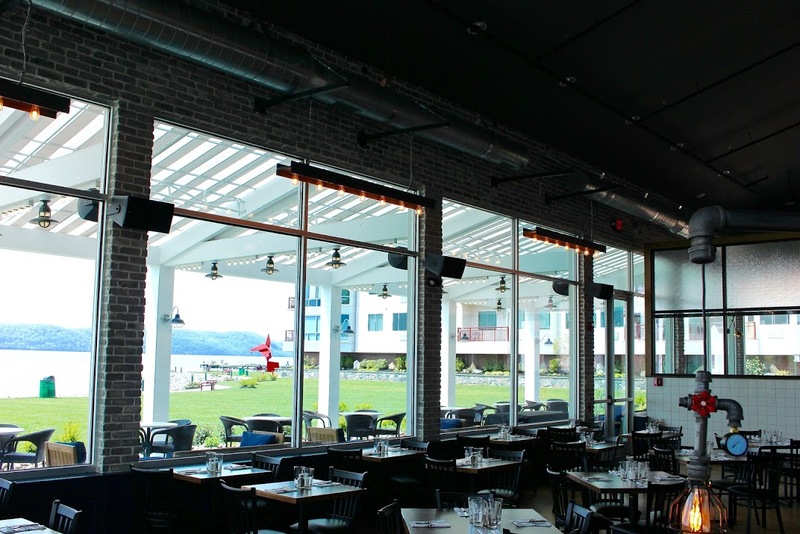 Metro Soundscapes is proud to have been a part of the newest addition to Harbor Square. 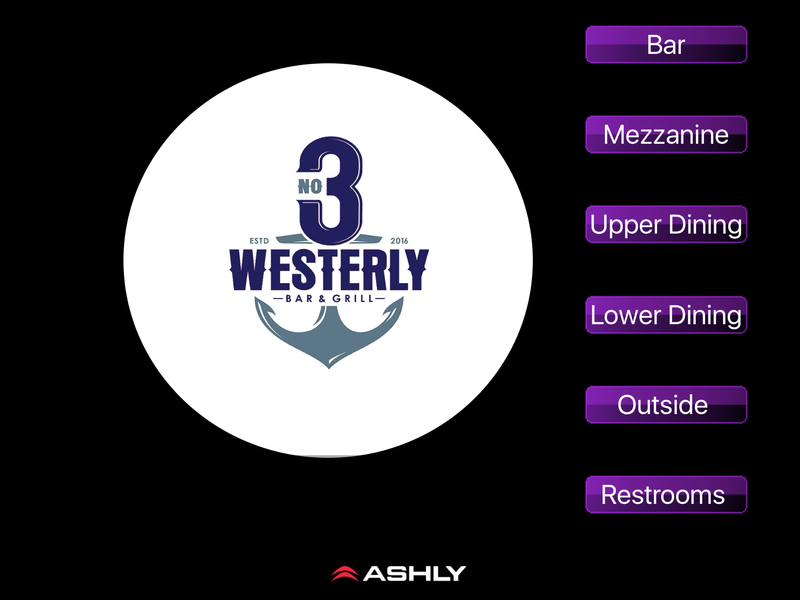 The grand opening of 3 Westerly Bar & Grill demonstrates a minimalistic approach to Hi-fi sound. 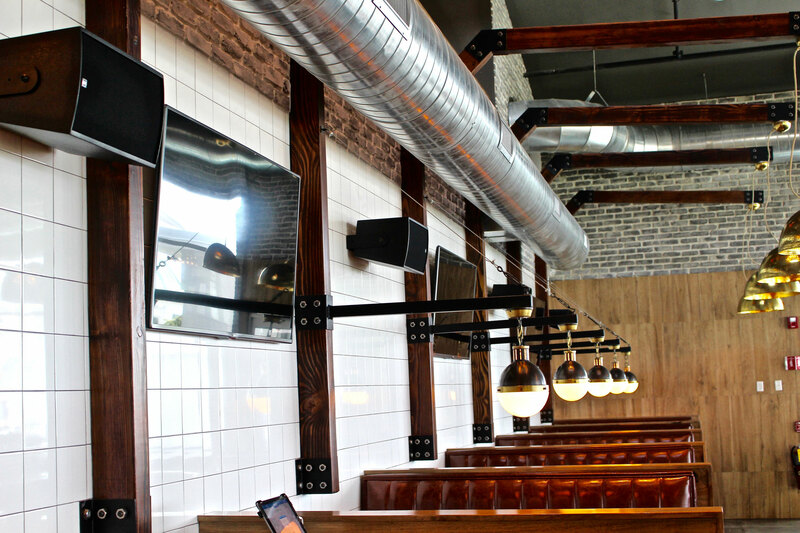 The bi-level restaurant space is equipped with RCF Media series M801 2-way boxes that provide an elegant yet neutral design in a smaller footprint. These 8'' boxes are crisp, clear and articulate with it's excellent dispersion and superb SPL. The M801's are accompanied by a pair of RCF 705-AS II 15'' subwoofers to give that extra fatness when needed, especially as the evenings progress. 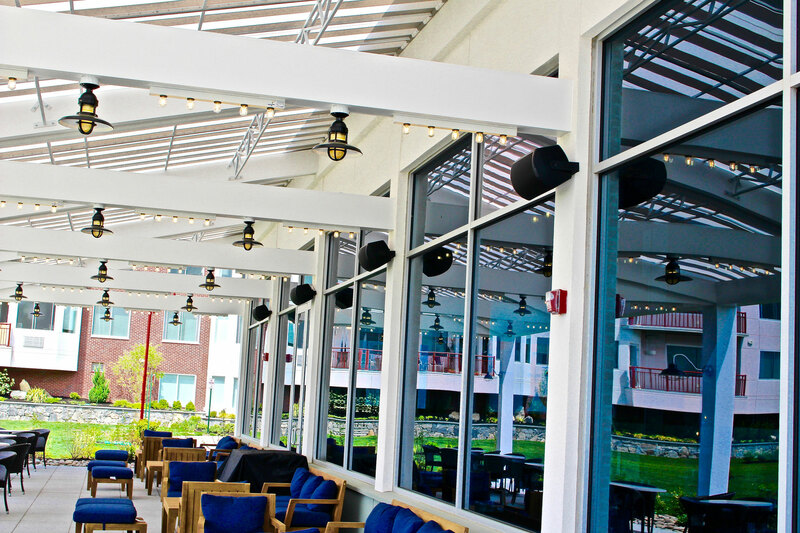 The outdoor patio space is also equipped with 8'' loudspeakers. 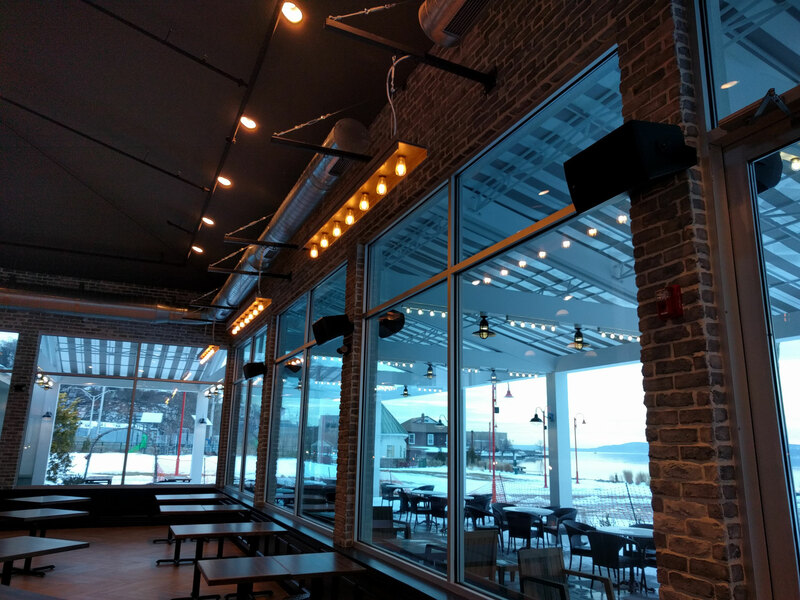 For this application though, the Tannoy AMS-8DC was the ultimate choice for this space due to it's dual concentric driver technology and IP-65 weatherproof rating. 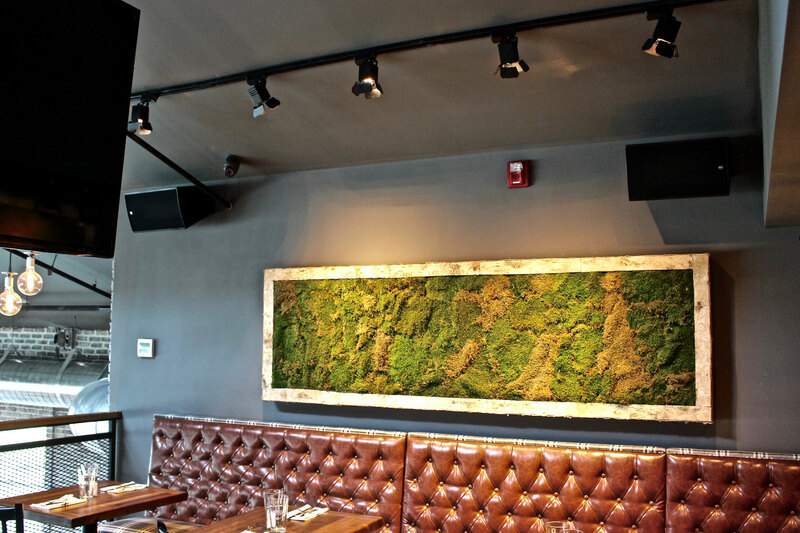 Diners in this space will definitely recognize the elegance and ambience that these speakers lend. The AMS-8DC's sound has a spatial airy quality to it that creates a comfortable and easy listening experience. 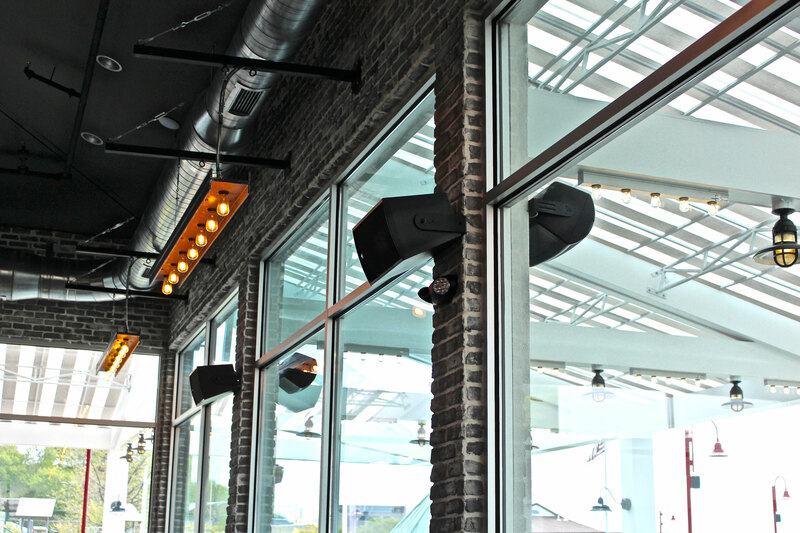 All loudspeakers are powered by RCF IPS-1700 power amps. DSP is provided by an Ashly Ne24.24m Protea Matrix Processor. All six zones are unique with individual source selection controlled wirelessly. 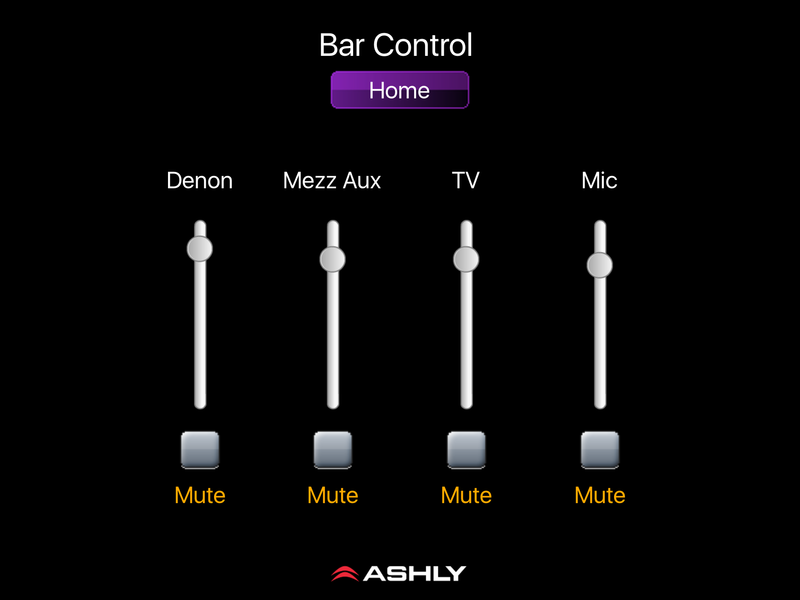 A custom user interface was designed using Ashly's iOS iPad App. The main source for background music is a Denon DN-300Z with Bluetooth/CD/USB/SD/AUX and AM/FM Tuner.